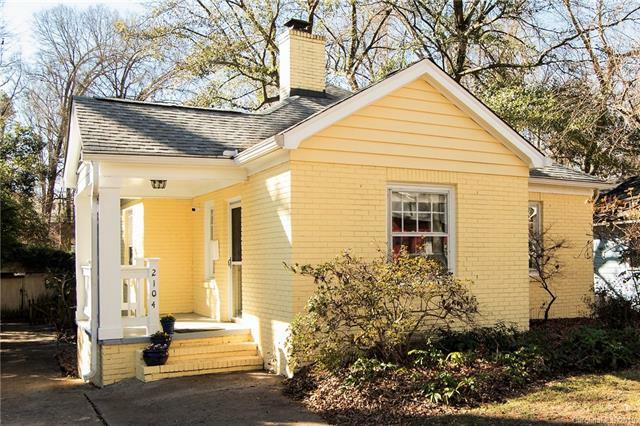 Adorable Chantilly Bungalow on sought-after Bay St...Super Location, Walk to everything in Midwood or Elizabeth. Great curb appeal and charming covered Front Porch. Original hardwood floors thru-out. Light & Bright Living Room, with Fireplace w/Original Black tile surround. Cozy Dining room. Updated Kitchen w/Stainless Appliances. HUGE Laundry/Mud Room. Generously sized Bedrooms for the period and Updated Bathroom. Spacious Deck and Screened-in Porch overlooking Large private & fenced backyard. This home offers the best in Midtown living, just Minutes to Uptown. Wonderful opportunity to own your dream home in one of Charlotte's most desirable neighborhoods. Bring your own Updates/Renovations. Home needs TLC and sold As-Is. Listed below Tax Value.